Quick and easy dinners to not have to be short of flavor. 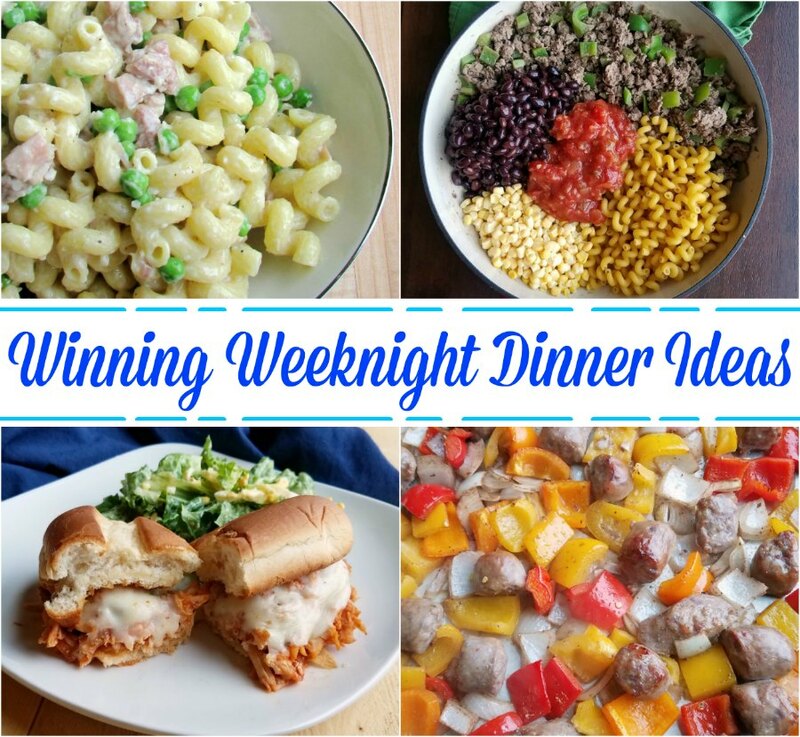 Here are some of our favorite dinner ideas that come together fast enough for a busy weeknight! Life is busy and is showing no signs of slowing down any time soon. So meals that require little prep are a necessity. I thought it would be fun to bring together some of our favorite weeknight meals for a little inspiration. It never hurts to have a few more quick and easy dinner recipes in your arsenal, right? 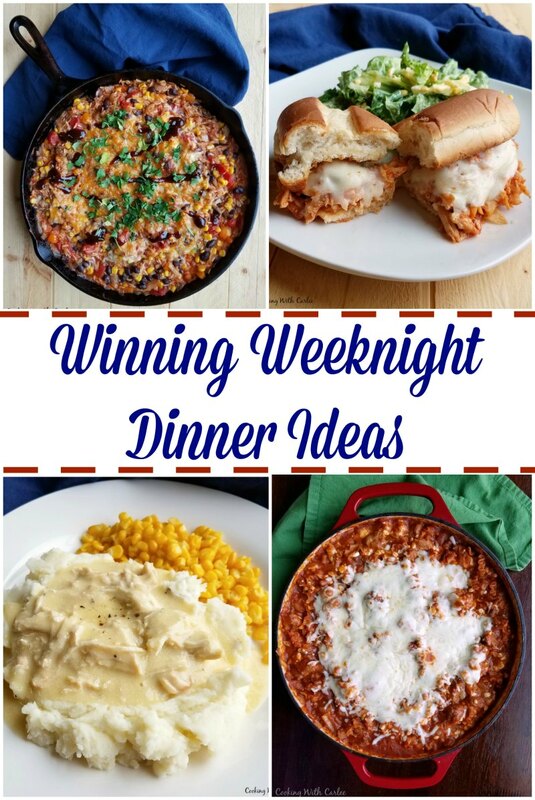 So here is a collection of some of our favorite weeknight dinner ideas! 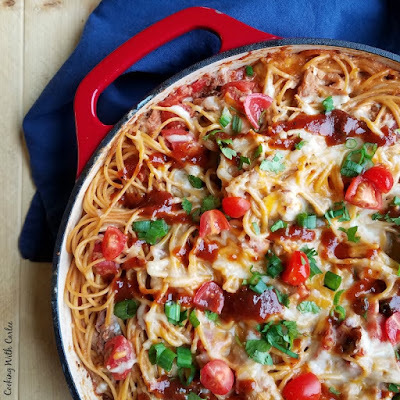 Dig into some creamy BBQ pulled pork spaghetti for a fantastic supper! It is such a fun play on textures and flavors! 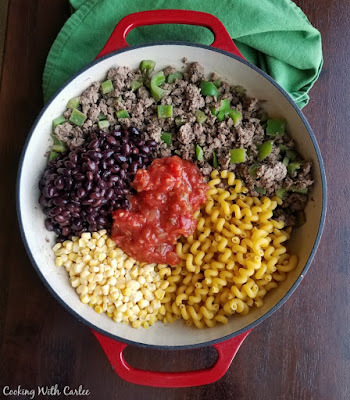 This one pot taco pasta is a favorite quick dinner here. It combines two of our favorites, taco and pasta, in one tasty meal. A full meal in one skillet is a great way to get dinner on the table on a weeknight. 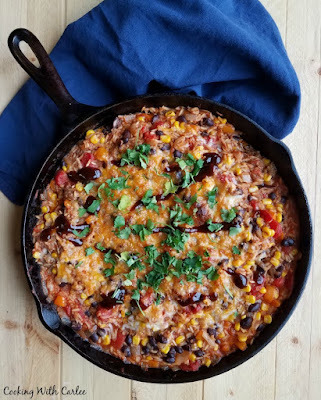 This BBQ pulled pork and rice skillet is so full of flavor and will be a hit at your table as well. Sometimes you want lasagna.... on a Tuesday! 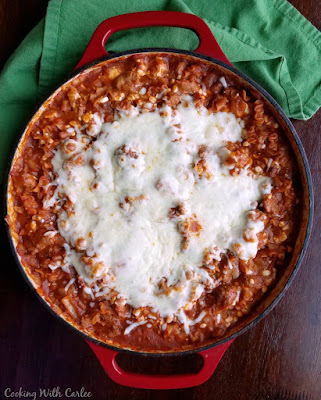 When you don't have the time for all of the layers and the fussing, this one pot skillet lasagna will do the trick. It has all of those flavors and the noodles cook right in the sauce! 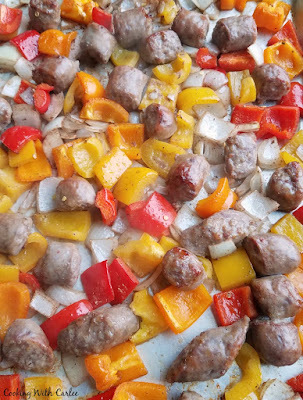 If you can chop a pepper and an onion, you can make this sheet pan sausages with peppers and onions. Boil some water for the noodles while the meat and veggies roast in the oven. Dinner will be on the table before you know it! 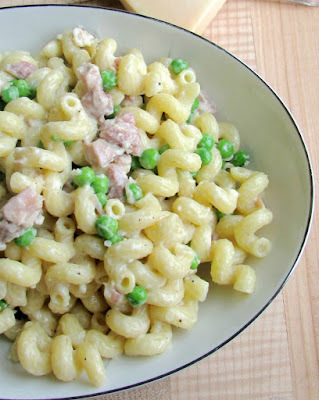 When you want something creamy, but not heavy, this simple pasta with ham and peas is the way to go. It's a perfect way to use leftover ham too! 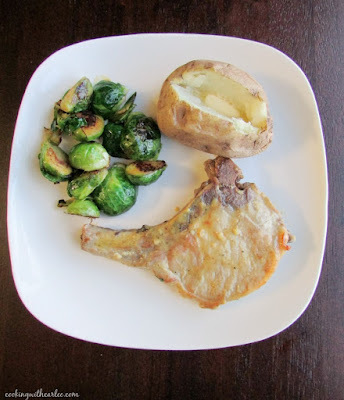 These honey mustard pork chops are so easy to make, it might take you longer to get the side dish together! These are a perfect last minute dinner solution! You know the old saying slow and steady wins the race? Well that might be true in for dinners too. Sometimes doing the prep ahead of time and letting it go in the slow cooker is the way to go. That way you come home and dinner is either done already or darn close to it. So here are a few of our favorite easy slow cooker meals. 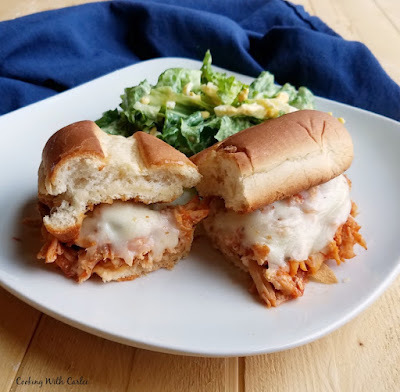 The filling for these slow cooker chicken sandwiches cooks in the slow cooker while you live your life. The assembly doesn't take long and the results are delicious! Creamy chicken goodness piled high on potatoes, noodles, rice or buns. 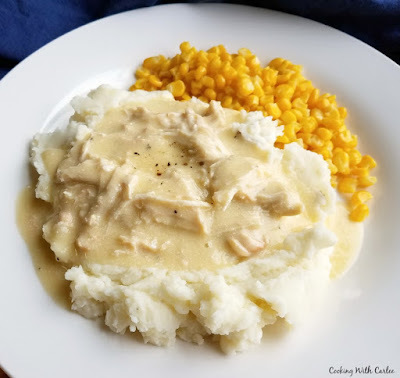 This slow cooker creamy chicken and gravy is a tasty fill'em up dinner that we love! 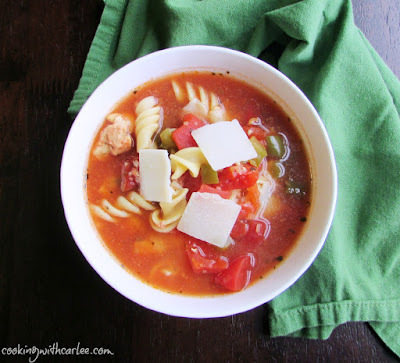 Healthy and full of flavor, MiMi's chicken cacciatore soup warms you up and tastes great. You won't believe how easy it is to put together either. 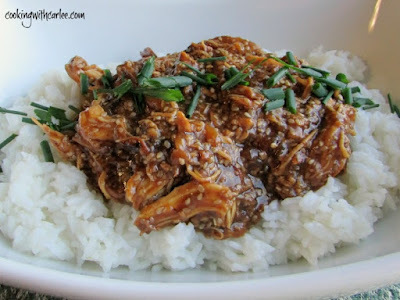 Slow cooker honey sesame chicken is just waiting for a bed of rice and a side of broccoli. Sometimes dinner really is just this easy! Burrito bowls are always welcomed at our table. 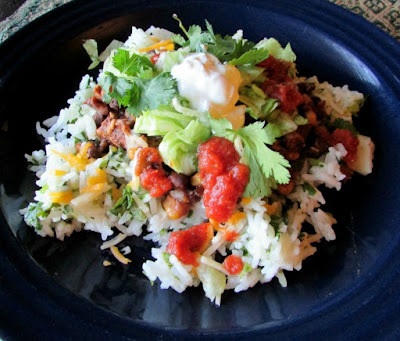 This slow cooker salsa chicken is perfect over some cilantro lime rice and topped with all of your favorite toppings! I love your quick and easy weeknight dinner collection. We all need these recipes in our busy lives.